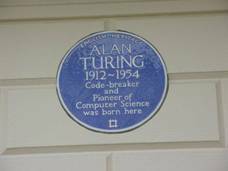 Alan Turing was born at 2 Warrington Crescent, Maida Vale, near Paddington Station, London in 1912 on June 23rd. This building became the Colonnade Hotel at a later date. 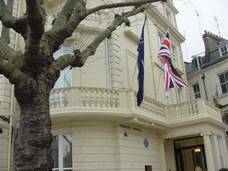 Turing was educated at St Michael's School, St Leonards-On-Sea and then from the age of fourteen at Sherborne School in Abbey Road, Dorset. Alan went onto King's College Cambridge to read Mathematics becoming a fellow in 1935 and writing his celebrated paper On Computable Numbers with an application to the Entscheidungsproblem (the problem of decidability). 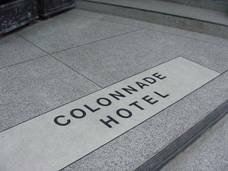 The Colonnade Hotel is near to Little Venice; a beautiful area of water where Regent's Canal and the Grand Union meet. The writing of Alan Turing's paper led to the creation of the Turing Machine; a mechanical device which in a systematic way could carry out a precise task. The concept of the Turing Machine was that each Turing Machine would use mechanisms in a similar manner relating to computer related concepts of input, output, memory, coded programs etc not dissimilar to von Neumann's computer of 1945. From 1936-1938 Alan Turing studied at Princeton, New Jersey gaining a Ph.D. with his dissertation titled Systems of Logic based on Ordinals and studying under mathematician and logician Alonzo Church . At Princeton Alan Turing met with von Neumann who was similarly a fantastic mathematician who later published his own paper which was said to be based on a number of Alan Turing's ideas. Alan Turing returned to Cambridge in 1938 and continued his interest in making computing devices. The Government Code and Cypher School soon contacted Alan Turing to help in their task to break the German Enigma codes. 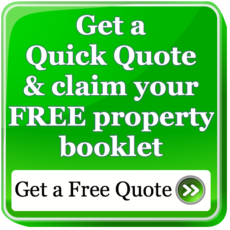 If you have a commercial property, be it leasehold or freehold, then you may wish to look at our Dilapidations Website at www.DilapsHelp.com and for Disputes go to our Disputes Help site www.DisputesHelp.com. We hope you found the article of use and if you have any experiences that you feel should be added to this article that would benefit others, or you feel that some of the information that we have put is wrong then please do not hesitate to contact us (we are only human).